Makes you feel like: The honorary mayor of Mellowtown! Wakin was a moment of actualization for Kurt Vile. 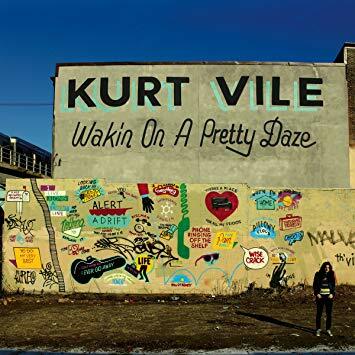 Kurt proclaimed himself as “Philly’s Constant Hitmaker” years before he had any, and by the time Wakin came out they gave him a key to the city! This double LP features several extended jams with transcending sounds overlaying one another. The album artwork is worth the price of admission alone, but in addition you get killer songs like the title track, Girl Named Alex and Goldtone. Sign up to receive news and updates via e-mail. Don’t worry, I won’t flood your inbox! Want to lend a helping hand? Spread the word. Tell your friend or better yet - buy them a tin as a gift! Follow Craft Tea on Social Media and leave a review, so we know how we're doing!